Gautam Khaitan, who is currently in judicial custody, had sought bail for the second time contending that the investigation in the case had concluded. Special CBI Judge Arvind Kumar deferred the order for April 16 in connection with money-laundering case. The Enforcement Directorate (ED), however, had opposed his bail application contending that he is a habitual offender. In the previous hearing, Special Public Prosecutor (SPP) DP Singh appearing on behalf of the ED told the court, "In this case, we have clinching evidence. There have to be people who have assisted him. Evidence has to come from different countries." DP Singh had also said that there is a "fear" that a person with knowledge of it, will tamper with the evidence. Countering ED's claims, Gautam Khaitan's counsels Siddharth Luthra and Pramod Dubey had told the court that the documents relied upon by the ED have already been filed before the court, as a result of which there is "no possibility" of tampering with the evidence. Earlier On March 25, the Enforcement Directorate had filed a 1500-page charge-sheet (prosecution complaint) against Gautam Khaitan under Sections 3 and 4 of the Prevention of Money Laundering Act (PMLA). In its charge-sheet, the Enforcement Directorate alleged that Gautam Khaitan deposited a huge amount of money in offshore accounts. He has also been accused of holding bank accounts abroad and having Rs 6,000 crore, which he didn't disclose in his income tax return. 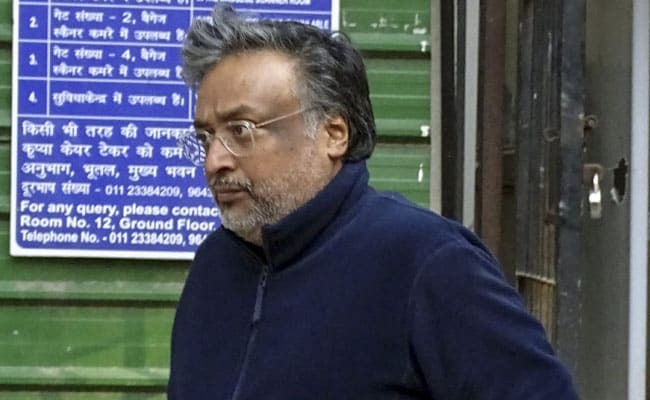 Earlier in February, Gautam Khaitan had filed a bail application wherein he stated the detail facts of the case, but later, the court dismissed the plea citing that it has no sufficient grounds.